The world’s known it for years: The small stands at the center of delivery pizza—designed to keep the cardboard lid from smashing onto your cheesy, gooey pie—look like teenie doll tables. So kudos to Canadian pizza chain Boston Pizza (confusing, I know) for finally adding some wee chairs to that wittle table. 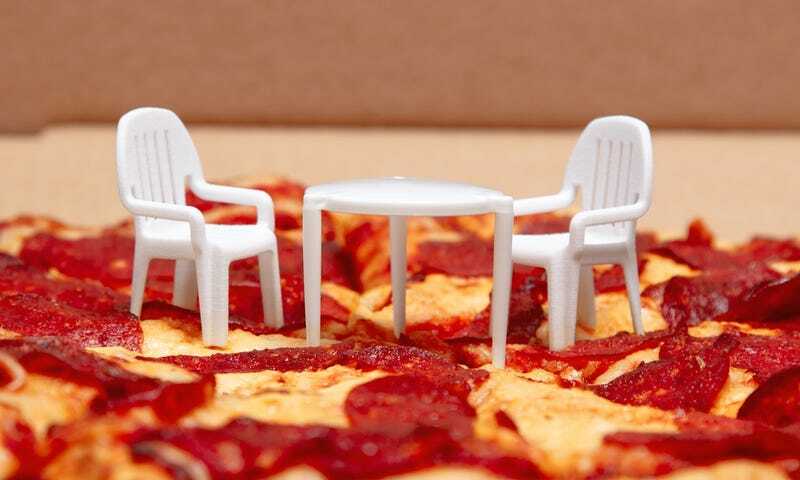 Adweek reports the pizza company has begun adding small, 3D-printed, food-safe lawn chairs around the “pizza table” in select delivery orders as part of its Pizza Patio Set promotion. Apparently, residents of America’s Hat have a strong affinity for patio time, so Boston Pizza wants to play up the joy of eating pizza on a patio. 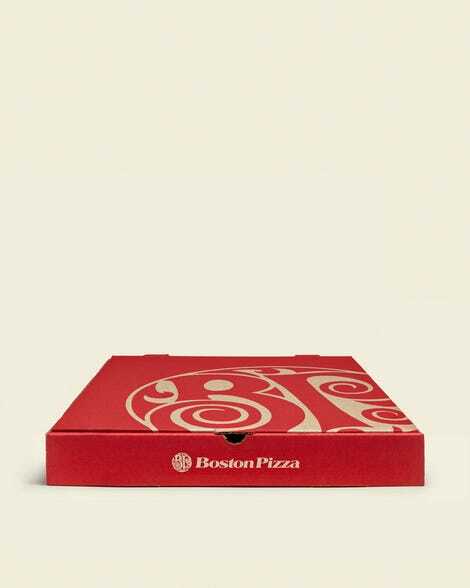 We’ll count this another win for Boston Pizza and its ad agency, St. John, who previously brought Canada the miracle of the pizza-box-designed-for-eating-in-bed. Hey Boston Pizza, when can you bring these small miracles to your namesake country?